Durable, strong and flexible, Manila rope is extremely popular in the industrial fields as an excellent all-purpose rope. 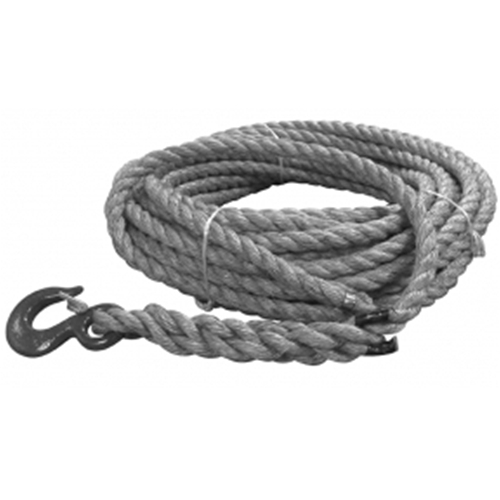 This rope is larger than necessary for most hoisting operations, but is popular due to the diameter and feel in your hand. This rope is cut to a 100' length and has a O.S.H.A. compliant spliced safety hook attached and a stainless steel band at the opposite end so that it doesn't unravel. NOTE: Manila rope should be kept dry, as moisture deteriorates the strength of the rope.